Terroir – sacre terra – (rough English translation, ‘plot of land’). Of course that tribe of daedal haute couture – the French, distilled thru the wine likes of Nicolas Potel, Robert Parker, & Elin McCoy – distend it to a ‘sense of place’, a hazy intellectual elsewhere; habitus; geology; field; soil, sunshine, humidity, rainfall; microclimate, temperature, surrounding foliage & fungi, light & altitude… intangibles that add up to… mystical theology. In a bite: home base… a taste of place – with signature ID. The debate ensues: are the ultimate results about the chocolate-forest or the chocolate-maker? Answer: man on the land. To play along with this, consider chocolate a memory of the gods, their fingerprints encoded in the ground, on the wind, among stars. 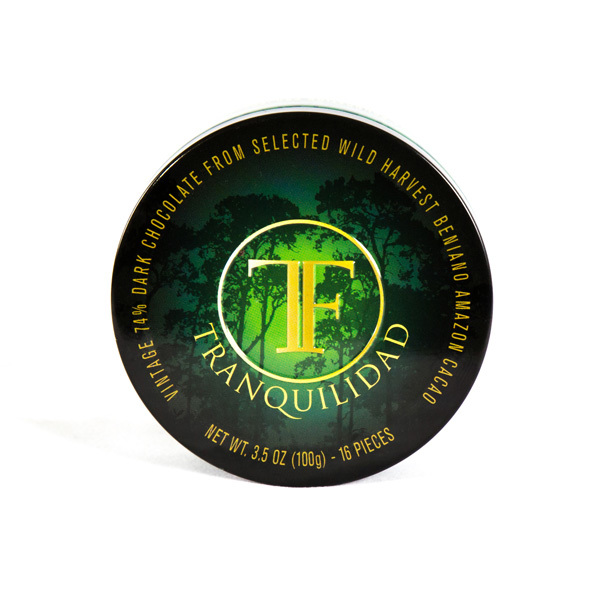 Where Theobroma cacáo originates, thickly grow the wooded cathedrals of the great rainforests, a vortex of organized chaos filled with The Force. 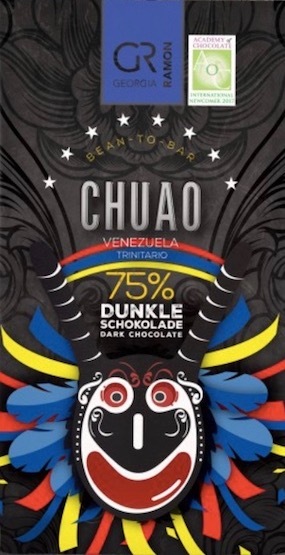 The older the cacáo, the greater the force field, enacting a tellurian bond between everything above & below the Earth… where science tries to fill the gap & humankind brings to fruition one of the greatest inventions – chocolate. Cacáo is complex, its manifold factors need to sync up simultaneously. 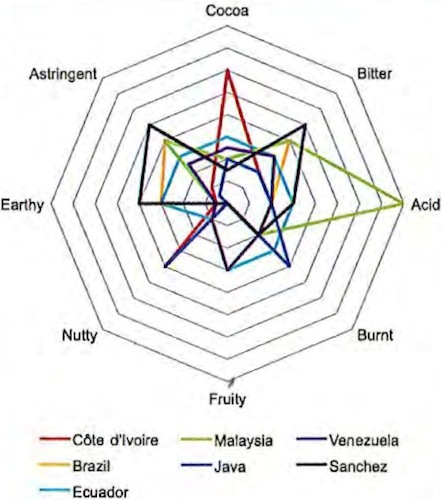 Selection for flavor traits is laborious & time-consuming, requiring collaboration between breeders, growers, sensory specialists, & chocolate alchemists. These bars manifest ‘home base’ or ‘home field advantage’, plotted variously around ritually-consecrated grounds, ‘the 20/20 Zone’ (20 degrees north & south of Earth’s equatorial belt). 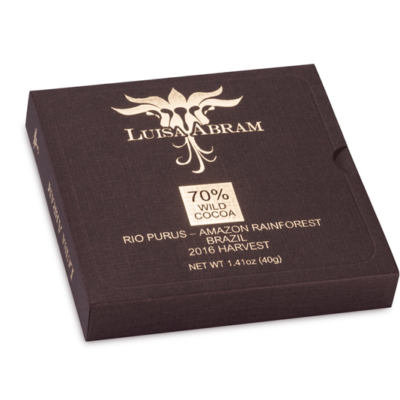 They’re among the best ambassadors from each cacáo-growing country, carrying a portfolio of credentials to chocolate citizens everywhere around the world. Much of this section follows the research of Dr. Basil Bartley & Dr. Juan Carlos Motamayor of the USDA Agricultural Research Service, plus Philip Lachanaud at CIRAD. 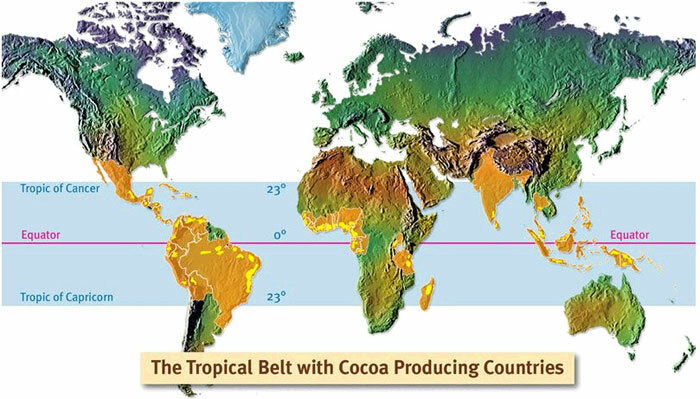 Their course primarily travels along the natural distribution of cacáo (genetic & geographic); then only peripherally around current political divisions, that is, within nation-state borders which, from a botanical perspective, are artificial. Some information here overlaps with the section on Strains because strains are often named after the region in which they grow. Indeed, the genetic quilt of cacáo unfolds around the world in such a way that many insiders refer to specific cacáo types by growing region – whether a country, state, river valley, or mountain range.